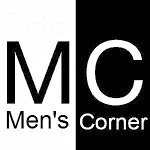 Men's Corner: Gallery of soft and lush beauty! It's Friday. We're too tired. We do not have strength for a lot of words. A picture speaks 1000 words. Enjoy.